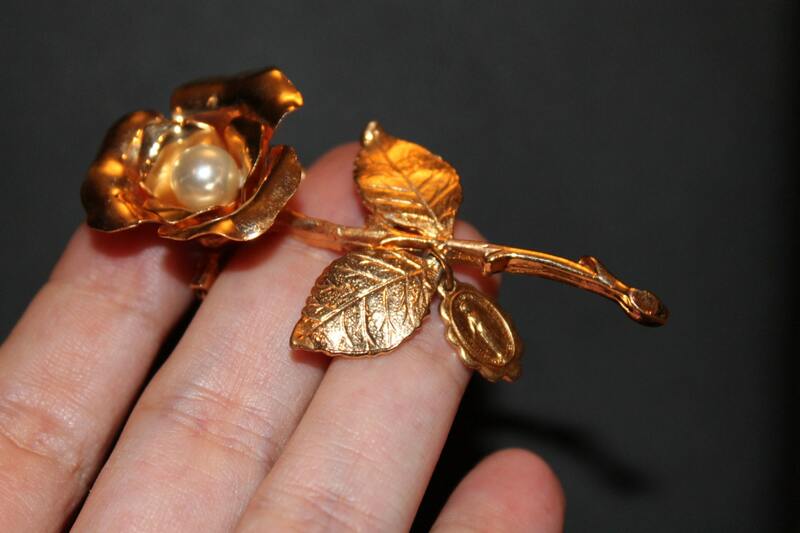 Vintage Gold Figural Rose with Religious Charm Flower Brooch. 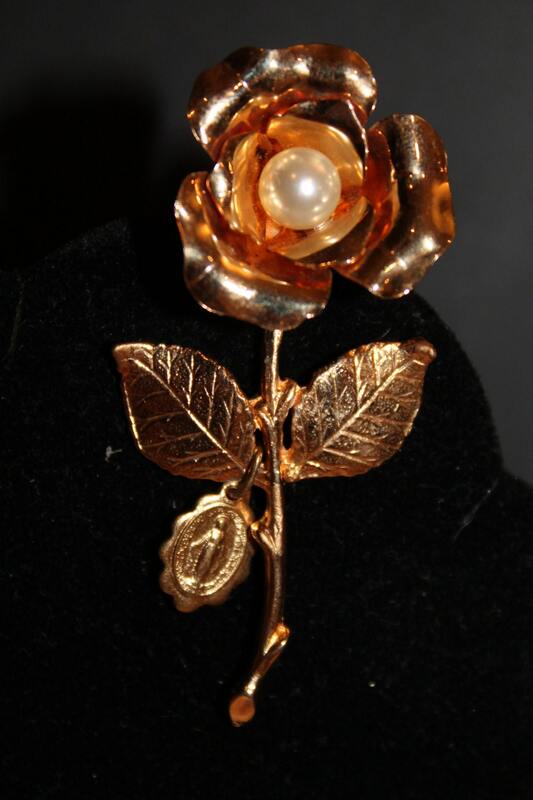 Pearl in the center, very 3D rose,Large and wonderful, Textured gold metal. 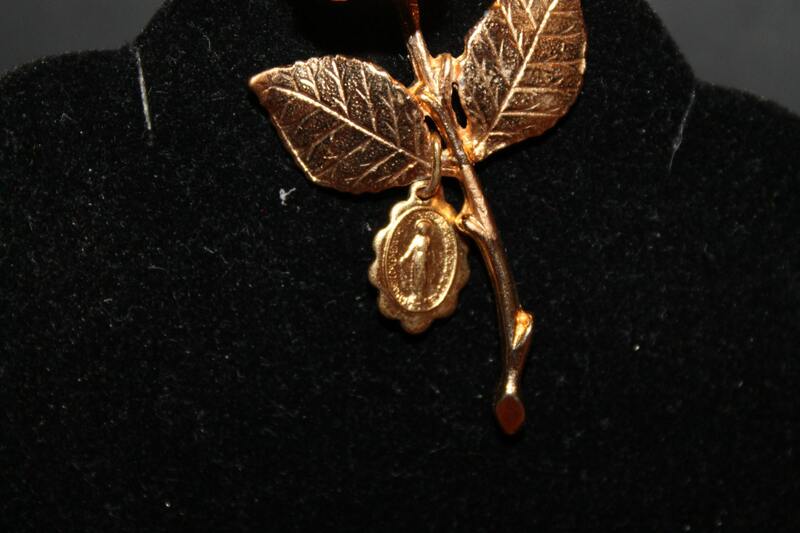 Charm with Mother Mary. 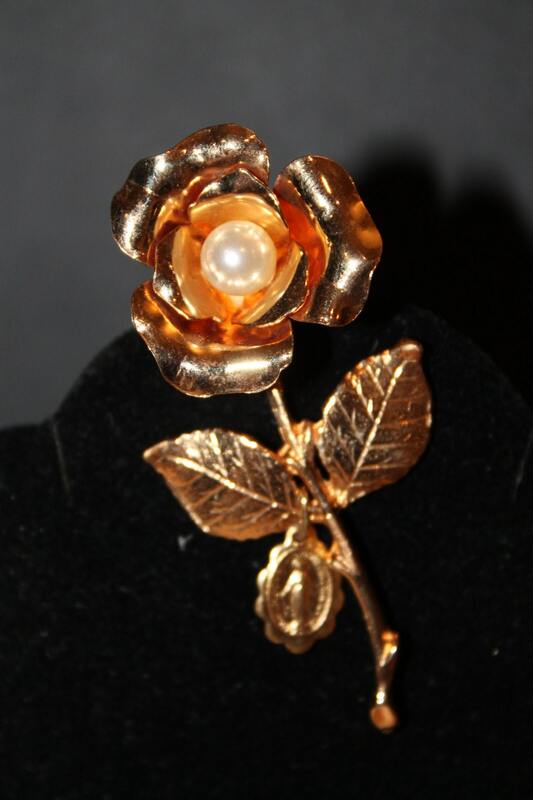 Measures 2 3/4" long and 1 1/4" wide in the widest point.